Gas Spring / Strut / Damper? 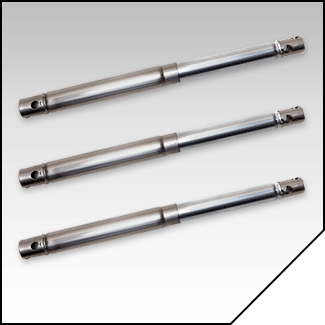 Mechanical Struts (m-Struts®) offer a seal-less, gas-less, and oil-less solution for strut applications. These struts offer robust performance in extreme temperatures (hot & cold) as well as caustic chemicals (gas & liquid). Consider pairing your Mechanical Strut with a Universal Stop Tube, in order to provide secure locking in the extended position. Struts are offered in a variety of configurations & materials to suit standard needs, however Associated Spring RAYMOND has engineered solutions far beyond the catalog, including dampening integration. If you have an OEM or aftermarket application for a Mechanical Strut or other complete functional sub-assembly, see the Services section for complete capabilities.